Script Debugger 6.0.7 – AppleScript authoring environment. 808: Resolved a regression in Script Debugger 6.0.6 which prevented the creation of new documents form templates that referenced script libraries in AppleScript use statements. 826: When the AppleScript version in a script is "2.5" and the script is being edited under macOS High Sierra, terminology for code-completion is no longer filtered for version 10.13. Next story LuxDraw 2.13.1 – Draw with light-like tools. Previous story ON1 Photo RAW 12.0.0 – Fast RAW processor, photo editor, and plug-in collection (was ON1 Photo). 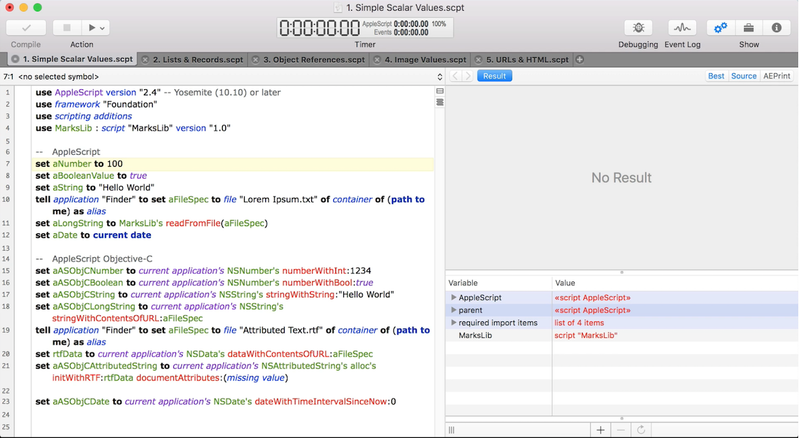 Script Debugger 6.0.3 – AppleScript authoring environment. Script Debugger 7.0 – AppleScript authoring environment.